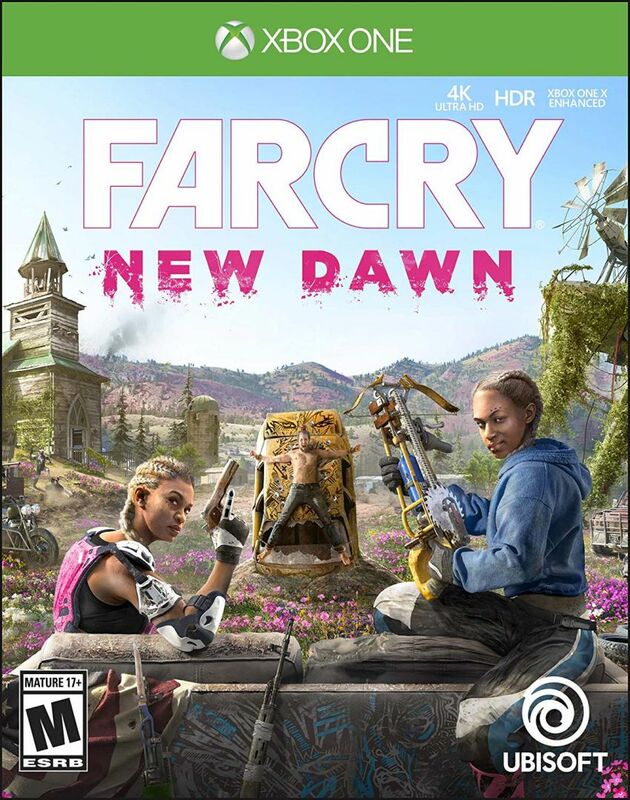 Far Cry New Dawn is an open world first person shooter developed and published by Ubisoft. It is a narrative sequel to Far Cry 5, and a spinoff of the larger Far Cry franchise. Far Cry New Dawn was first officially revealed at The Game Awards 2018. Though Ubisoft had teased a few days prior to the show that they would be revealing the next chapter of Far Cry, before the game’s official reveal, its name and setting were leaked. The game is being developed mainly by Ubisoft’s Montreal studio, with support from Ubisoft Kiev, Ubisoft Shanghai, and Ubisoft Bucharest. Like previous spinoff entries Far Cry 3: Blood Dragon and Far Cry Primal, it is built with a smaller budget and smaller team. The game takes the series to a post-apocalyptic setting for the first time ever. 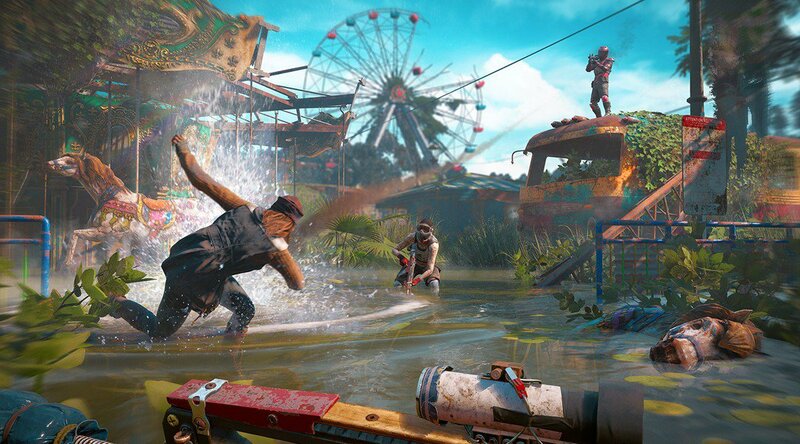 While Ubisoft had wanted to do a post-apocalyptic Far Cry for a while, they did not want to go with the grim and dreary atmosphere and style that games in similar settings usually go far, and as such opted for a more vibrant and colourful visual pallet in New Dawn. 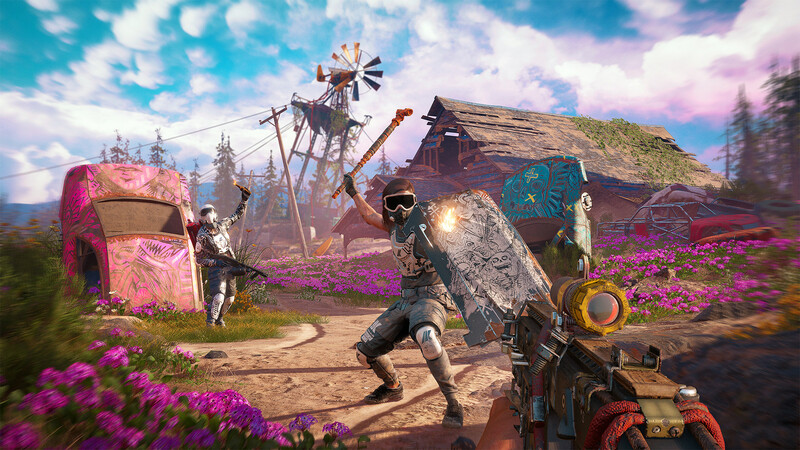 Far Cry New Dawn is a direct narrative sequel to Far Cry 5, making it the first time the series has done a direct sequel. It takes place in the same setting of the fictional Hope County, Montana, seventeen years after one of the endings in Far Cry 5, after nuclear missiles triggered the event known as “the Collapse” .It is set in a post-nuclear apocalyptic environment, where the world is undergoing a “super bloom” with vibrant vegetation and wildlife reclaiming the world. Players take control of an unnamed protagonist, who is part of a group of survivors who seek to rebuild Hope County. A vicious group of roving bandits known as the Highwaymen, led by twin sisters Mickey and Lou – who took control of the Highwaymen by killing their former leader, their father, who they felt was leading the group astray – chance upon Hope County, where they proceed to wreak chaos and havoc upon survivors. The survivors of Hope County band together to fight back against the Highwaymen. Several characters who were featured in Far Cry 5 will return in New Dawn as well, which includes, the antagonist Joseph Seed, and secondary characters Pastor Jerome and Hurk (the latter has appeared in multiple Far Cry titles). The fate of the Deputy, the silent protagonist of Far Cry 5, is also expected to be revealed in New Dawn. 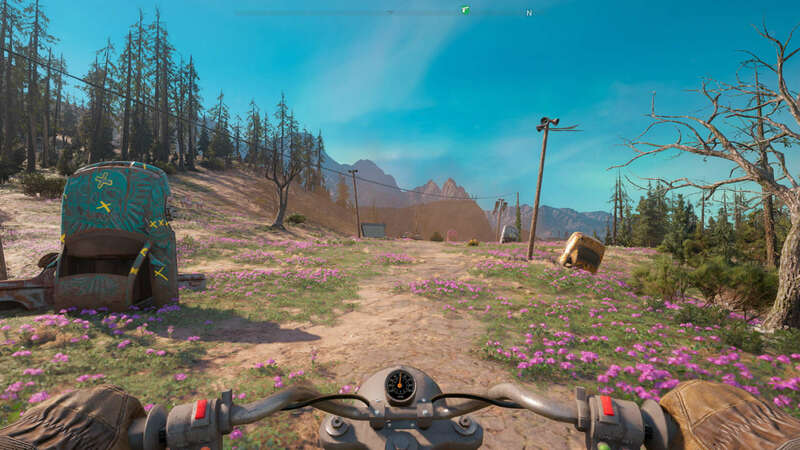 Far Cry New Dawn uses the same setting as Far Cry 5, that being the fictional Hope County, Montana. 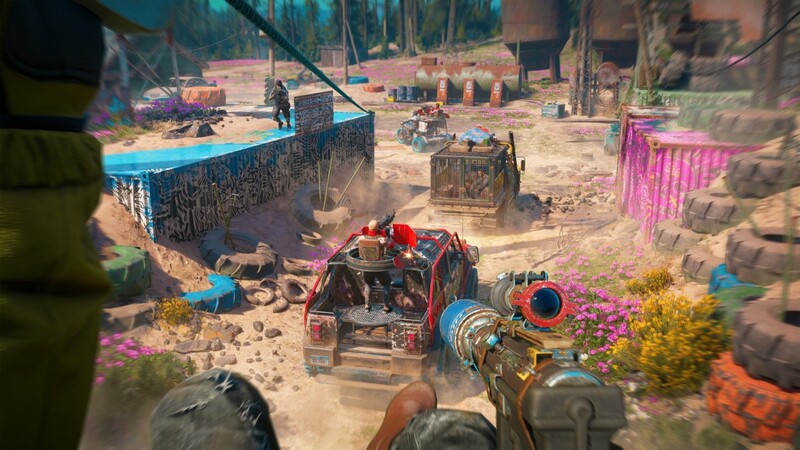 As such, similar to Far Cry Primal, which used a reimagined version of Far Cry 4’s map, New Dawn will also use a retooled version of the map used in Far Cry 5. Owing to the post-nuclear setting, several areas in Hope County that were accessible in Far Cry 5 will not be inaccessible, while new areas will also have opened up for exploration. The entire map will sport the new visual design and art style of the game. While the game will largely be set in Hope County, Montana, players will be able to go out on Expeditions as well. These Expedition missions will take place in separate locations that will function as new, isolated maps, including locations in states such as Louisiana, California, and Arizona. These maps will be smaller sections separate from the main and are are built from the ground up for New Dawn, and will feature more complex environments, such as swamplands, deserts, or an abandoned theme park. Similar to the rest of the game, Expeditions can be played co-operatively with another player. The Guns for Hire and Fangs for Hire systems from Far Cry 5 will also be making a return, which allow players to recruit human survivors and animal companions, who then fight alongside them during combat. These will include both new characters, as well as those returning from Far Cry 5. There will be a total of six Guns for Hire and Fangs for Hire characters- Nana, an elderly sharpshooter armed with a sniper rifle; Carmina Rye, the daughter of Far Cry 5 characters Nick and Kim Rye, whose birth was shown in the game as well; Timber, a dog with abilities that are similar to Boomer from Far Cry 5; a boar named Horatio; and Pastor Jerome and Hurk, both of whom were featured in Far Cry 5 as well. The game will also have certain specialist characters, who will come with their own personal missions and stories that players can undertake, and will have unique abilities. Also new to New Dawn is how the game will handle weapons- being set in a post apocalyptic environments, there will be less focus on purchasing new weapons and guns, and more from crafting and customizing them from the resources and materials players scrounge from the environment. One such weapon will be the the Saw Launcher, a crossbow that shoots out saw blades. Weapon attachments and customizations will also need to be crafted from gathered materials. The Perks system will also be changed slightly, with some perks being tied to specific weapons, thus encouraging experimentation with the weapons arsenal. Players will also be able to craft and customize vehicles. 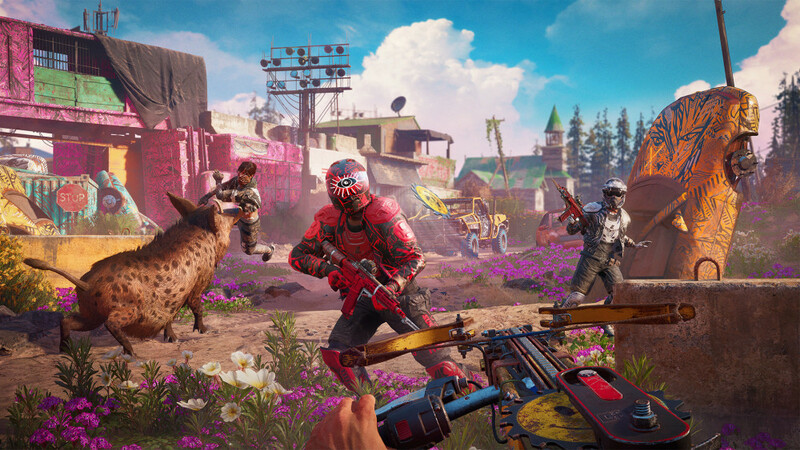 Enemies in Far Cry New Dawn will also be of various varieties, with some being harder to fight and take down than others. Tougher enemies will be equipped with more powerful weapons and better armours, and will require players to take on different methods and strategies to take them down as opposed to other enemy types. One such enemy will be the Enforcers, who are bounty hunters. Additionally, the player character in the game will also be customizable, and players will be allowed to customize and choose things such as their appearance and gender. Outposts, a franchise staple, will also return in Far Cry New Dawn, but the system is slightly tweaked. While similar to previous games, clearing out outposts of enemies and claiming it as your own will see them become fast travel points on the maps, after doing so, players will be presented with two options- either setting up the outposts as fuel manufacturing stations for themselves and the Hope Country survivors, or raiding the outpost for resources and then abandoning it. If players take the latter option, the Highwaymen will eventually move back in and retake the outpost, however they will do so with reinforced strength and forces. These outposts will then become harder and present more of a challenge to players, should they wish to overtake it again. Far Cry New Dawn will also feature a home base for the player. Prosperity will feature as the hub base of operations for the player themselves, as well as the survivors of Hope County, Montana. Prosperity will be upgradable, and will continue to grow and evolve as players play through the game and undertake various activities and missions.